There are currently 90,638 users on this website. Hello. Found a 1926 Mercury dime I wanted to get some opinions. It looks like there is doubling in liberty and on the date. Also on the back it looks like a CUD on the A in states. Was wondering if this is something I should send off to be graded? 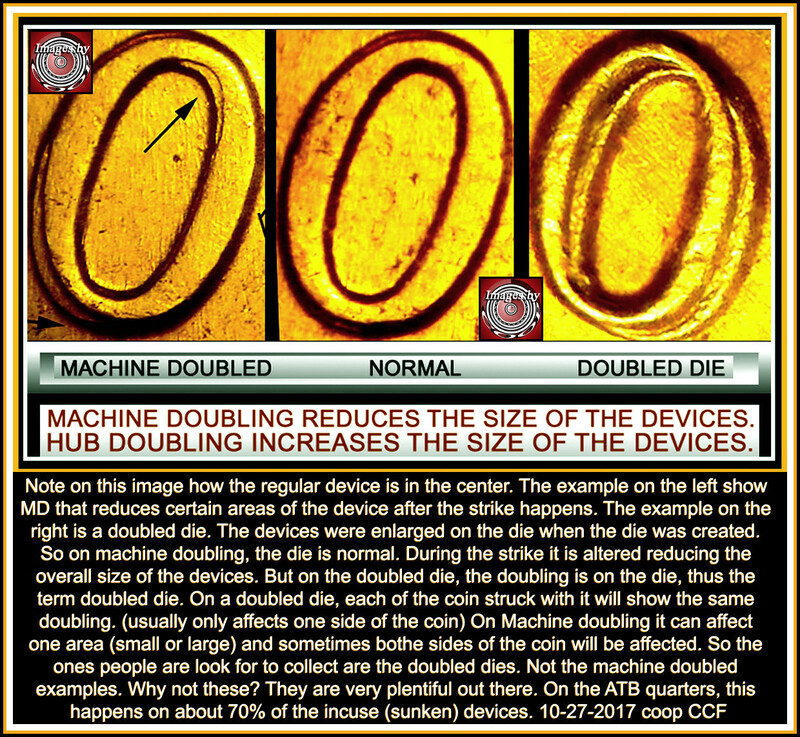 Doubling is Machine Doubling, not a doubled die. That is a die chip, not a cud. Update: I just got back from the coin shop and they confirmed the doubling. They showed me the following article and my dime looks just like the doubling on the dime in the article. Mine is just not in as good of shape. Thanks for the replies guys.. I agree with all involved, it is Machine Doubling. Same here. Save those grading fees! I'm sorry, but the people at the coin shop are wrong. 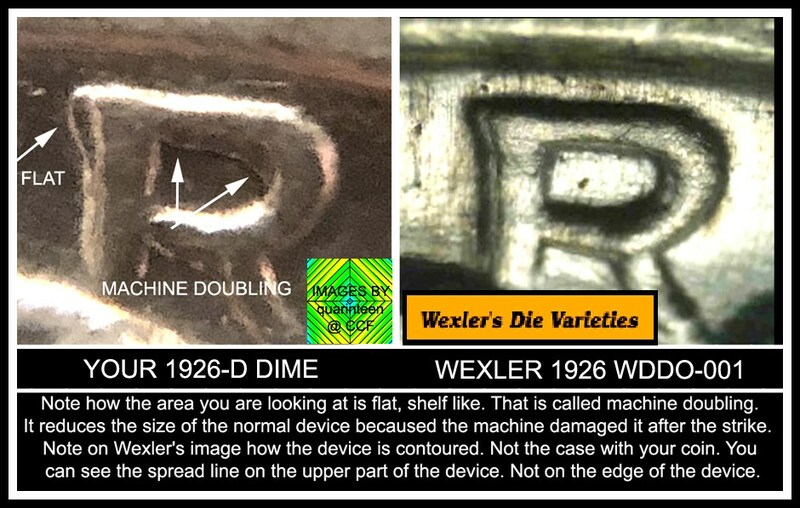 It's Machine Doubling, and not a Doubled Die Obverse. 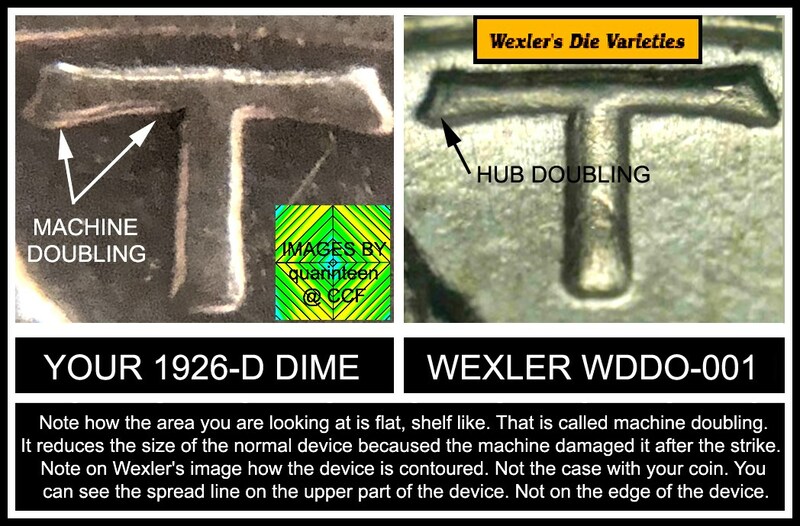 Just Machine Doubling, the doubling is flat unlike the rounded doubling a doubled die would have. Also, like previously mentioned, your coin is a Denver Mint and the site you posted lists Philadelphia Mint Mercury dimes. 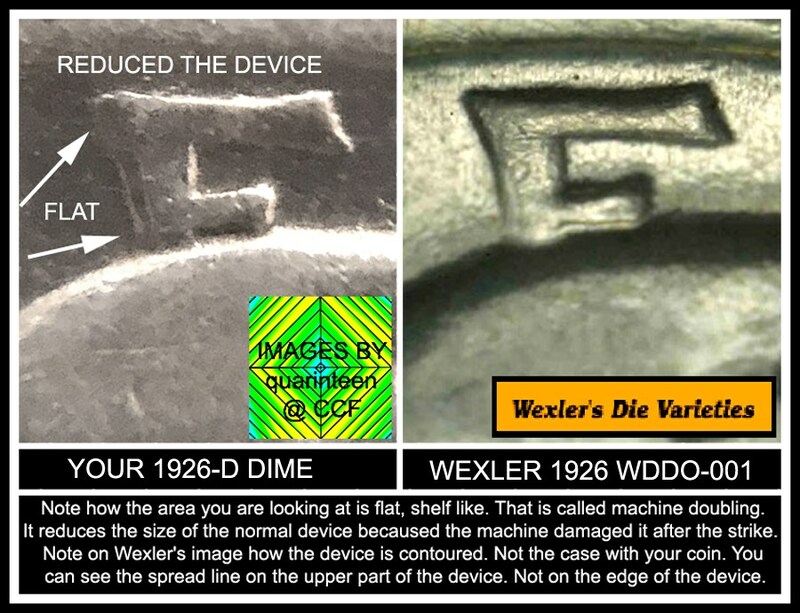 For one reason or another, coin shops and dealers tend to know very little about errors and varieties. I have seen many times people on this forum being misled by dealers.